You want to build a fantastic eLearning course that helps your learners become well-trained employees, right? Right. In order to do that, you need to be sure the material you’re teaching is memorable. Literally—it needs to be committed to a learner’s memory. Jobs are becoming increasingly complex at workplace. A task as simple as ‘calling a customer’ has now become over-complex with considerations like ability to hold the client’s attention, cultural and situational sensitivity to customer’s surroundings, ability to connect and relate with customer’s needs not just in business sense but in socio-cultural sense too, ability to think through options and be able to research certain information for customer. Karoly & Panis (2004) emphasize the changing nature of workplace requires non-routine cognitive skills. 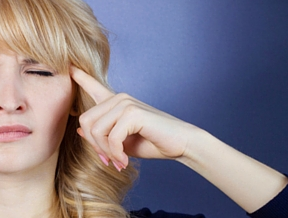 Complex cognitive skills require different kind of design or approach. It is general belief that face-to-face instructor-led and on-the-job mentored training have proven potential to develop complex skills at workplace as well as in educational or training provider’s settings. Welke technologieën zijn ‘in’ en welke ‘uit’ in het hoger onderwijs? In juli 2015 is de Hype Cycle for Education 2015 van Gartner verschenen. Een mooi moment om de nieuwe technologieën en laatste trends op het gebied van ICT en (hoger) onderwijs op een rijtje te zetten. 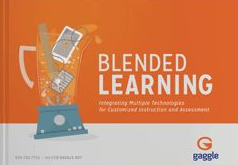 Still Confused About Blended Learning? Here’s Some Help. For some, getting a clear definition of blended learning still can be a challenge. To help, here are some consistent themes that can help make the move to delivering online content instruction easier.